The Church is an easy to grow indica dominant strain from Holland. A cross of Super Skunk, Northern Lights and Erdbeer, this powerful indica will keep you clear minded and on the go as you make your way through the day. The Church from Greenhouse Seeds is powerful and tasty indica dominant hybrid that produces super high yields in just eight weeks. A cross of Super Skunk, Northern Lights and a Swiss sativa/indica hybrid known as Erdbeer, this potent and easy to grow strain will make a great new addition to your garden. The Church is a skunky indica that found a home in the coffee shops of Amsterdam and in the hearts of growers around the world. Its uplifting high will keep you on your feet and allow you to go about your day without slowing you down. The Church feminized seeds from Greenhouse Seeds will produce exceptional yields and will grow in virtually any environment. Dense, light green buds that give off a skunky and fruity aroma will be the rewards for your months of hard work. This strain was originally crafted by Dutch breeders who crossed native Swiss sativas with Northern Lights and Super Skunk. The result was a heavy, heavy yielder that was manageable in the garden and packed a knockout punch. It is rare to find a strain that consistently produces yields as high as The Church. Indoor gardeners can expect up to 800g per square meter. Outdoors you should expect around 900g per plant with your buds maturing by the end of September. While Northern Lights is a variety that usually takes a bit longer to mature, the Erdbeer genetic cut the flowering time down to just 56 days. With hydroponic systems you would be able to shave off a few more days than that. The Church produces large dense buds while maintaining a short bushy stature. Its predominantly indica lineage produces an array of large fan leaves surrounding exceptionally thick colas. Northern Lights and the Erdbeer found in The Church's lineage, cross to produce a short, rugged and easy to manage plant. The Church is naturally inclined to resist mould, so you shouldn't have a problem with powdery mildew. It is actually one of the most mould resistant strains available. This makes it great for growing in higher humidity climates. It will thrive in a wide range of growing conditions making it a great choice for growers of any level. The guys at Greenhouse Seeds recommend starting your flowering stage off with a pH of 5.5 and an EC of 1.8 with a humidity level of 60-70%. You can expect to see 16 to 18 cm of growth in your first seven days. As your plants mature you can adjust your humidity levels and increase your EC to around 2.1. In the garden it gives off a skunky odour, thanks to its Super Skunk and Northern Lights genetics. You may also detect subtle, fruity overtones emanating from your grow room. The buds have a light green hue and are known for being ultra-sticky to the touch. Orange hairs cover the dense buds with a slight tinge of purple. You should expect to see trichome spilling out from the buds onto the tiny sugar leaf that surround the thick, dense colas. With the lineage it has, it should be no surprise that THC levels can reach upwards of 20% producing incredibly powerful highs. The Church is laden with skunky scents and has overtones of fruit flavours. In the garden it would be hard to miss the distinct skunk odour influenced heavily by its Super Skunk parent. When smoked, it has a piney, earthy yet sweet flavour. The smell is inviting and welcomes you as the strong effects of this high THC strain kick in. There is a bit of a spice detected in the back of your throat. A subtle compliment to the almost citrus-like fruity essence of the smoke. This strain will really appeal to those who enjoy sweet, fruity and skunky flavours. The Church produces a very cerebral and intense high. It is more uplifting than you'd expect, allowing you to remain the social butterfly that you are. It will lead you on a creative journey or push you through that discussion you were having about the universe. The buzz kicks in pretty rapidly after only one or two hits. The result is a sharp and clear minded high. The body experience has been described as almost numbing. Coming in at around 20% THC, The Church will help you walk the good path. Being a high THC indica dominant strain, many turn to it for its relief properties. 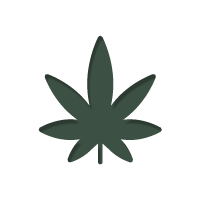 It has been brought into the discussion as a treatment for numerous ailments that cannabis is believed to aid. Depression, nausea, chronic pain, joint inflammation and muscle spasms could all be potentially alleviated with high THC strains like The Church. Greenhouse Seeds have produced a potent and flavourful strain in The Church. It is easy to see the influence that the Northern Lights and Super Skunk have on the finished product. With a skunky yet floral aroma, and earthy, sweet flavours, it would be a challenge not to love this strain after just one hit. The genetics of The Church make for a strain that is easy to grow in both an indoor and outdoor setting. It produces absolutely incredible yields and produces large dense nuggets. If you are looking for a strain that will top out your scales with some of the most potent and aromatic buds around, The Church is definitely worth picking up.